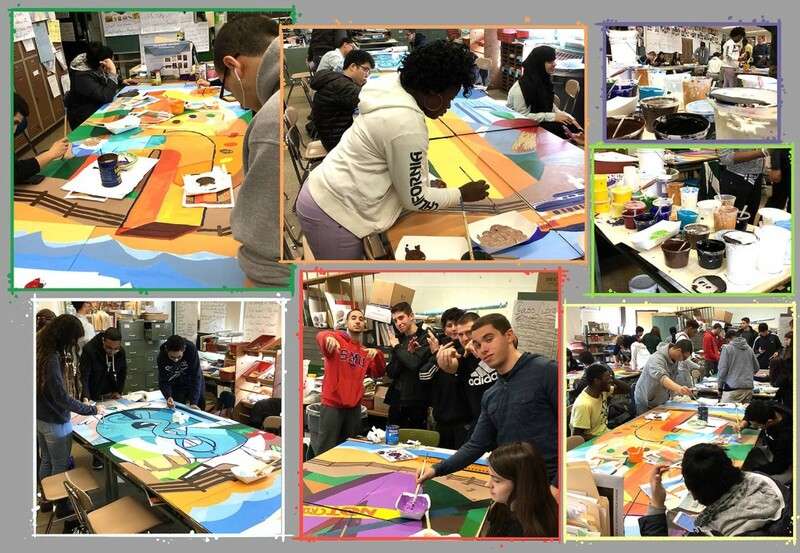 Celebrate the completion of the Thrive #SchoolMural at New Dorp High School in Staten Island (2015). 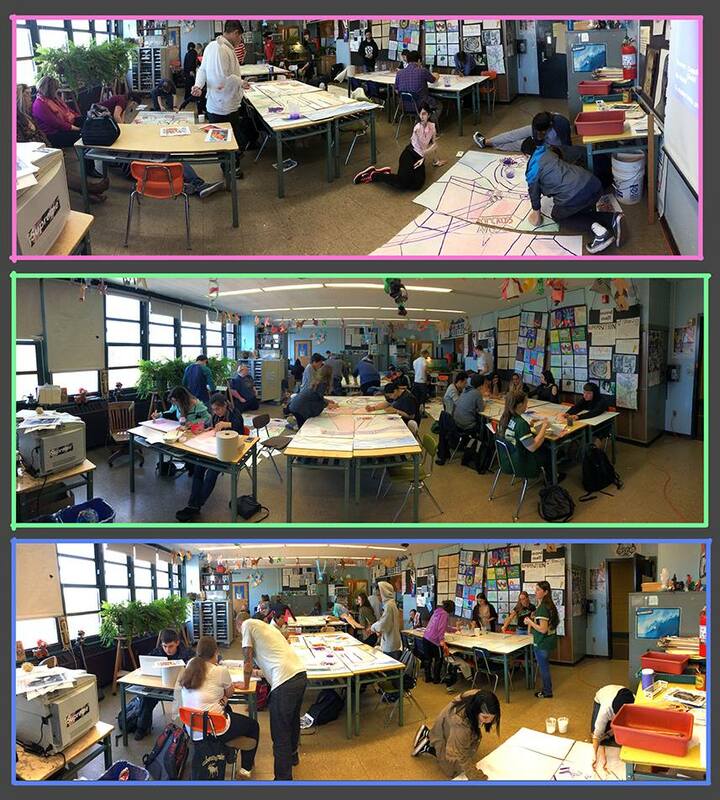 Special thanks to our sponsors, including International Christian Center, Turkey Hill, and New Dorp High School. 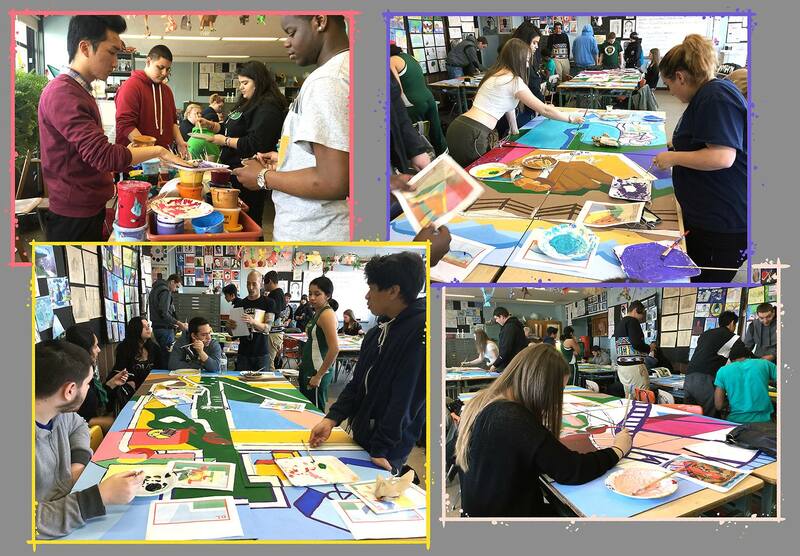 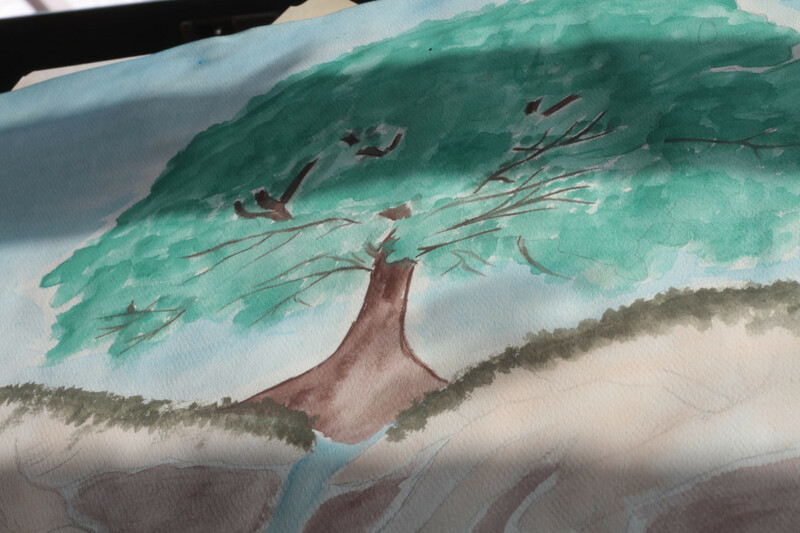 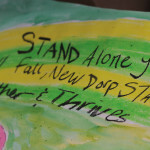 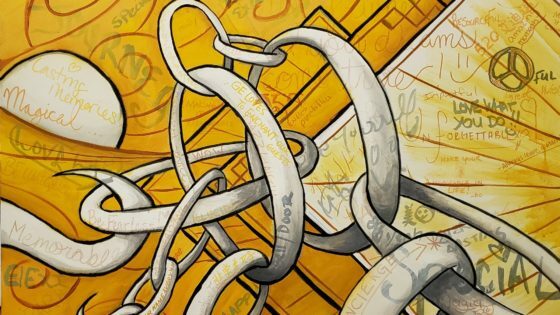 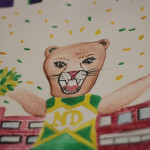 NY1 VIDEO: [April 16, 2015] After months of sketching and painting, some young artists are finally showing off their latest masterpiece. 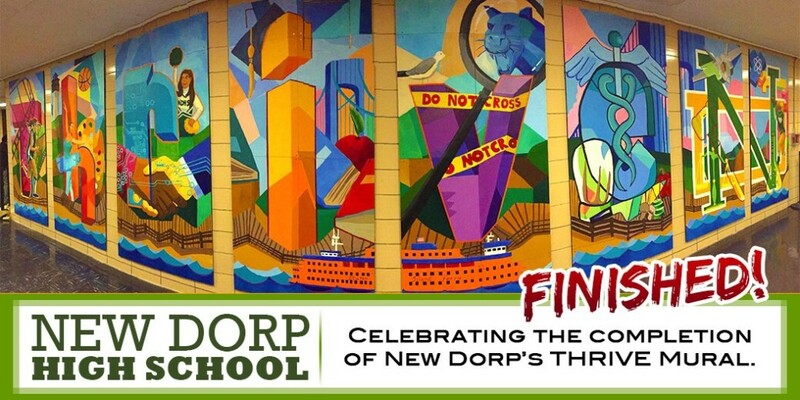 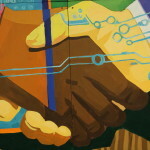 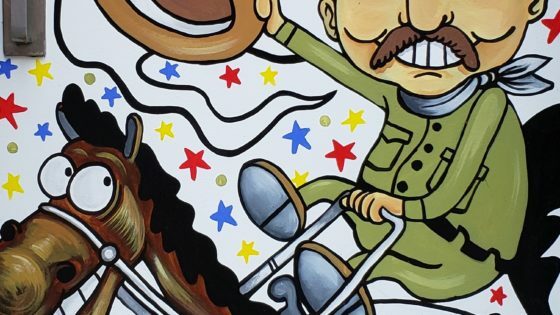 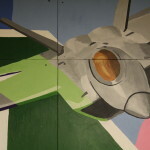 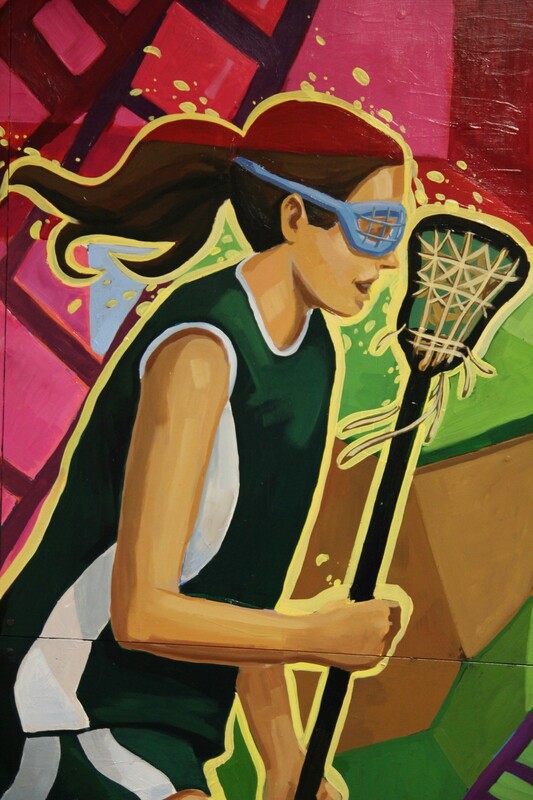 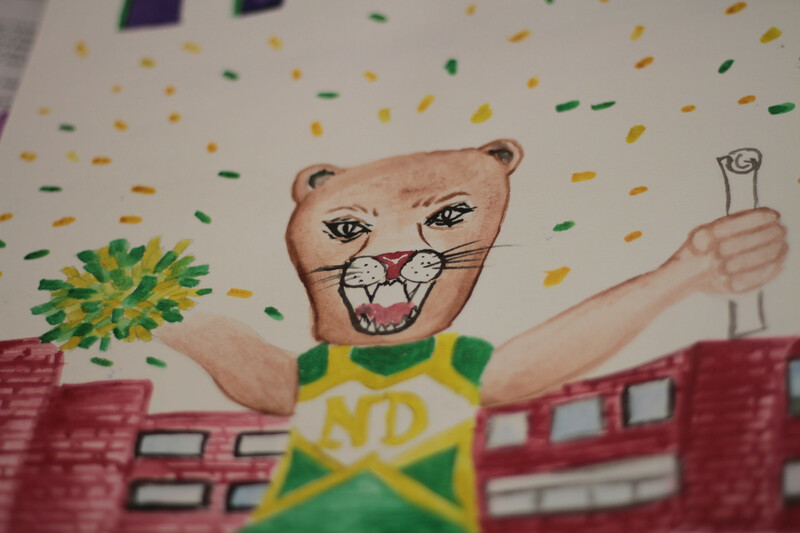 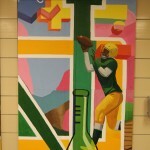 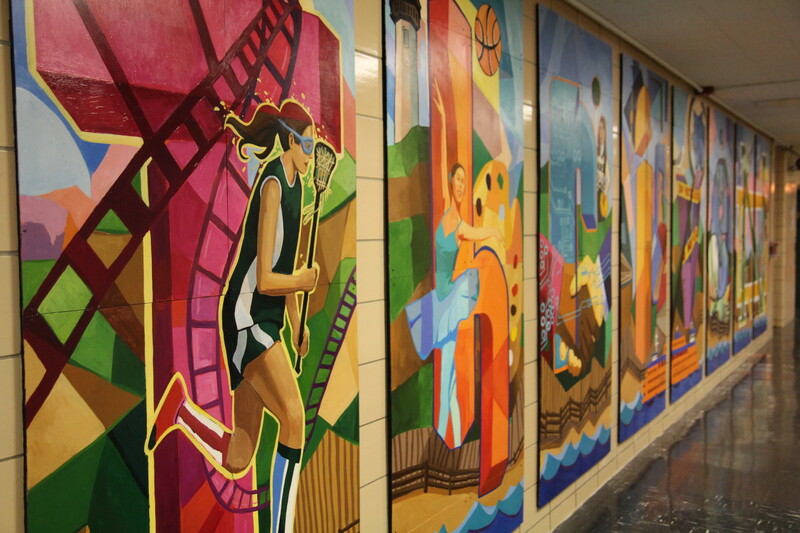 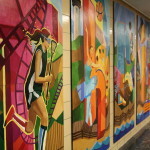 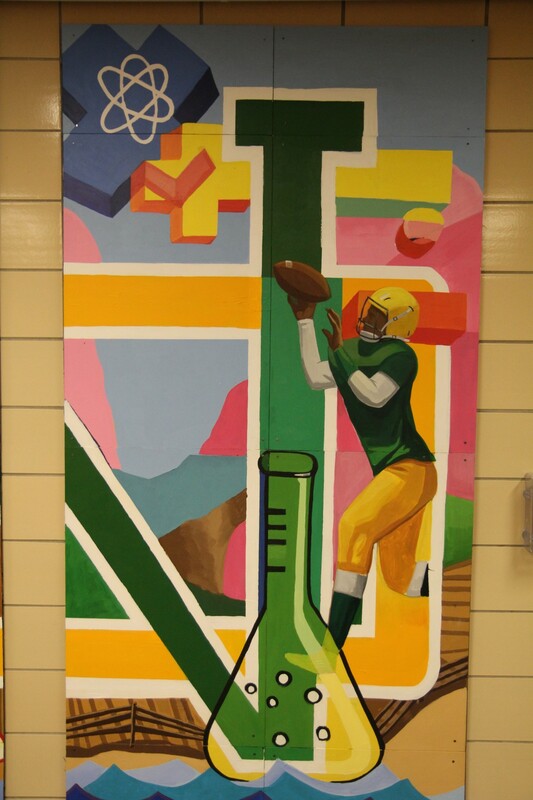 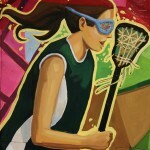 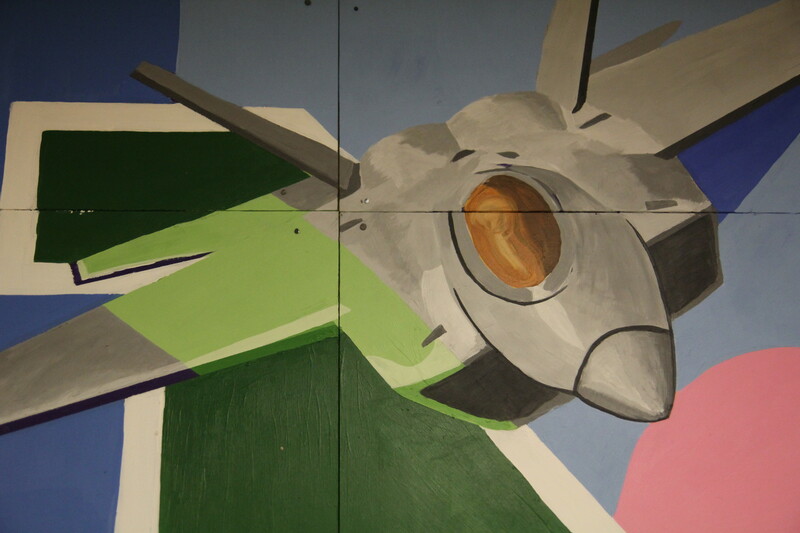 New Dorp High School students unveiled a new mural Wednesday during a ribbon cutting ceremony. 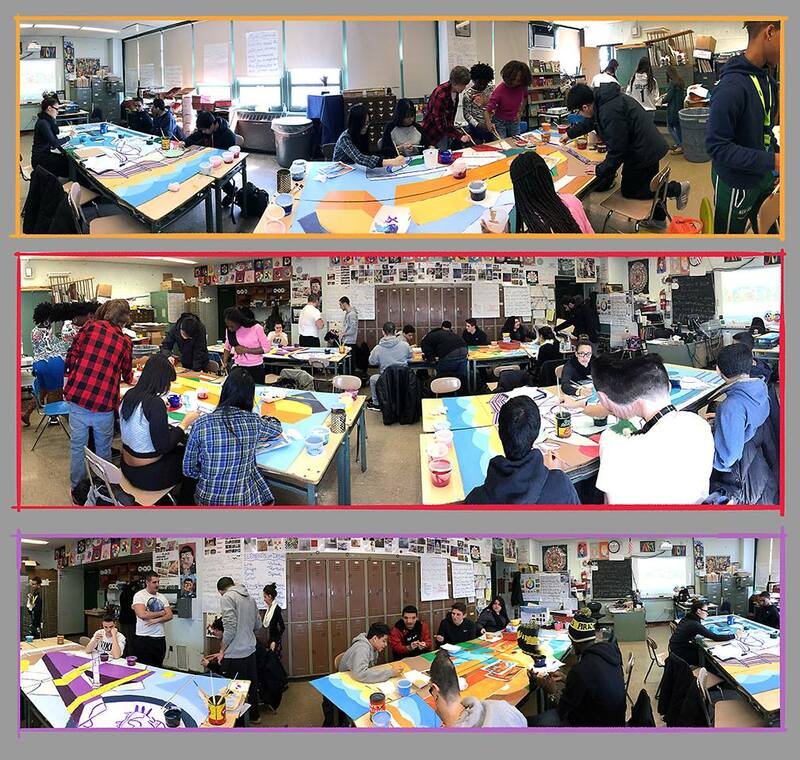 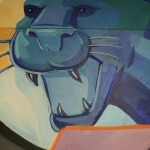 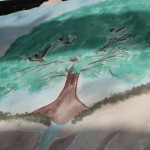 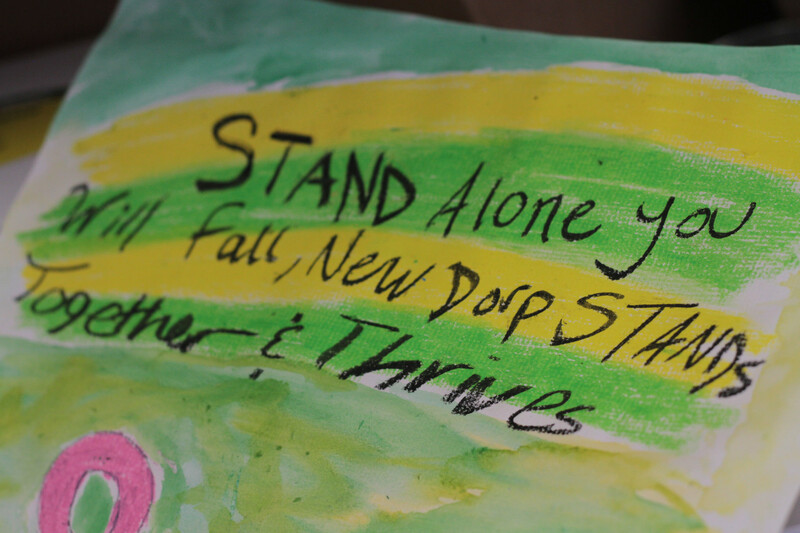 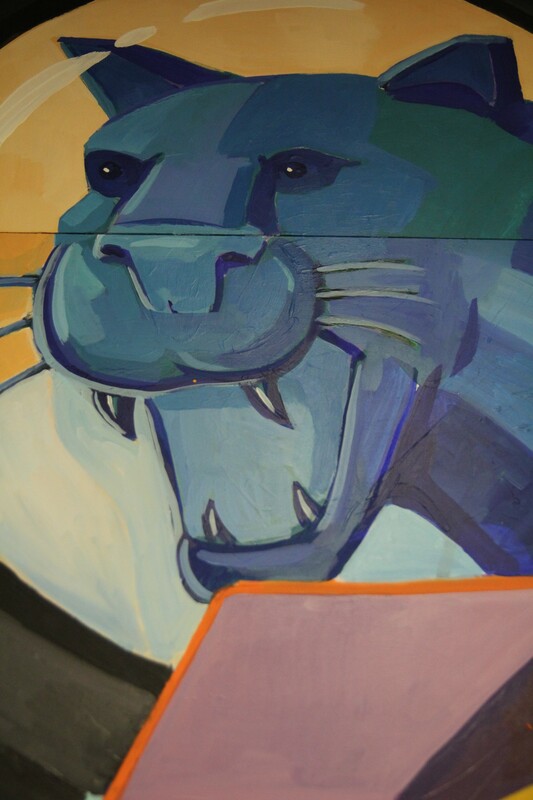 About 300 students collaborated on the project that features 36 panels covered in acrylic paint. 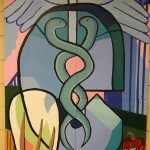 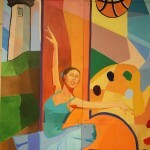 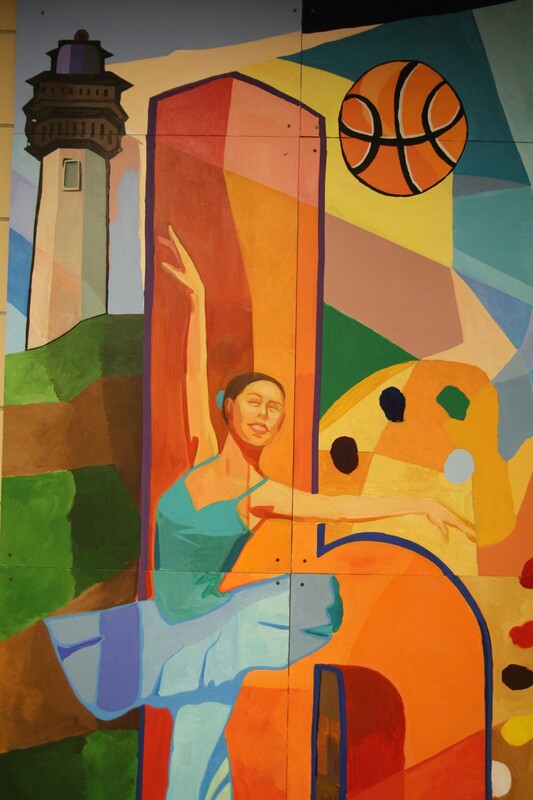 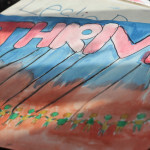 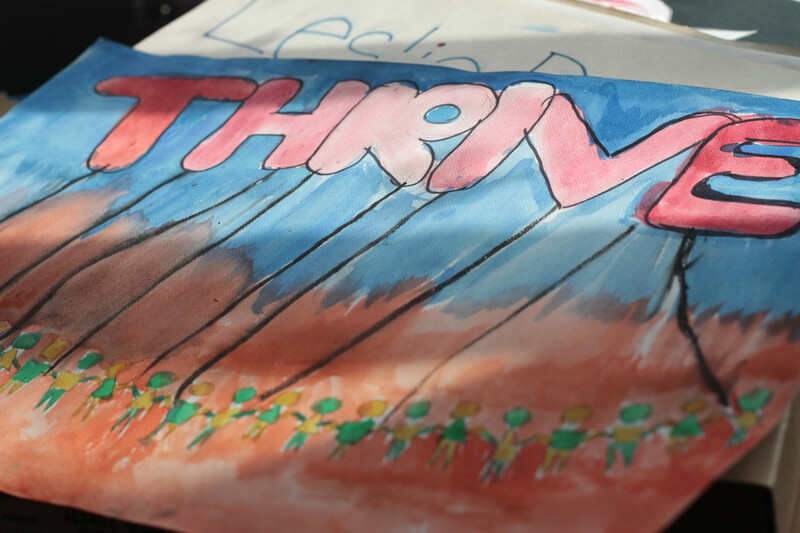 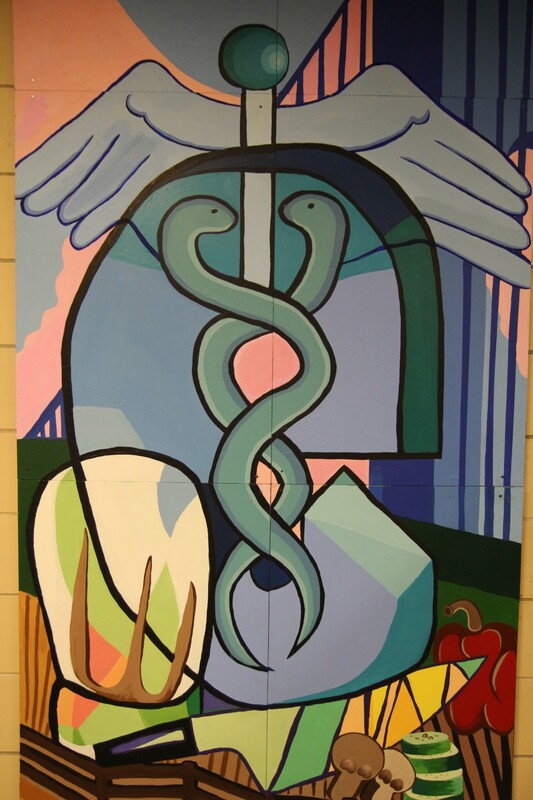 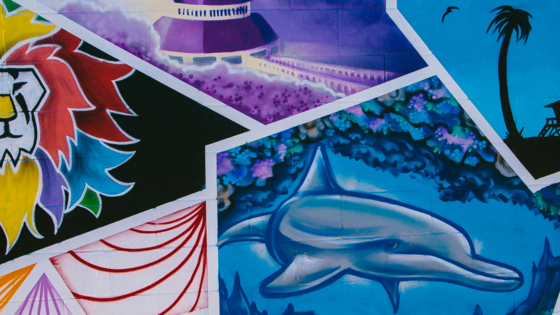 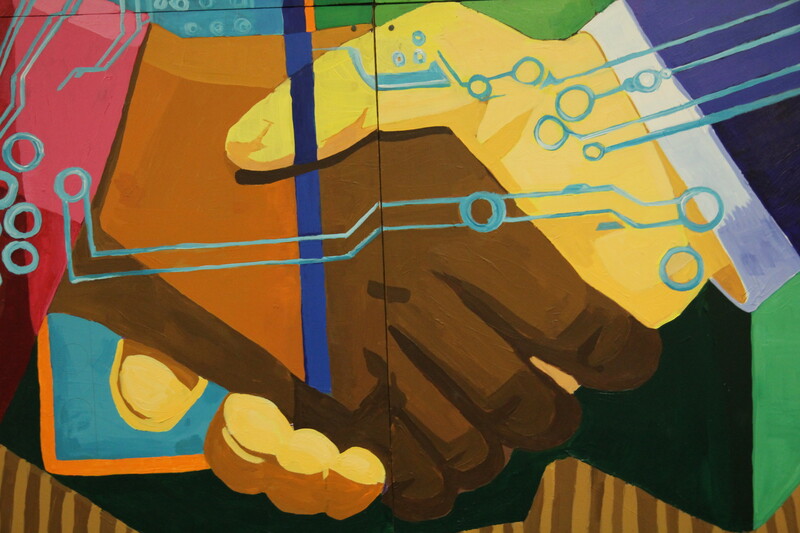 The mural spells out the word “thrive” and represents each of the school’s specialized learning programs. 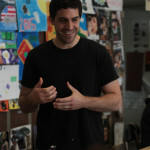 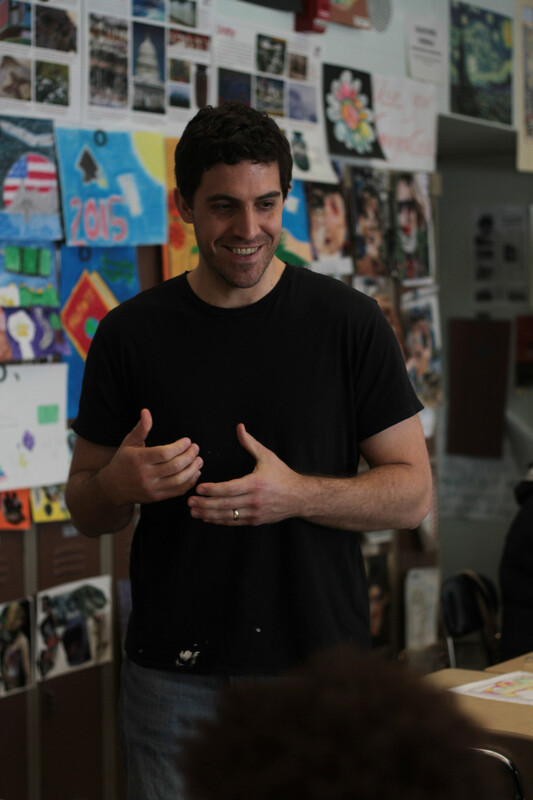 Students spent 10 weeks on the project. 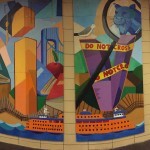 Originally published by NY1 online here.